As Diana Vreeland famously put it, "the eye has to travel." These days, the fashion eye is focused squarely on the sleeve: Statement sleeves have emerged as a durable trend, showing up on runways for Fall/Winter 2016. 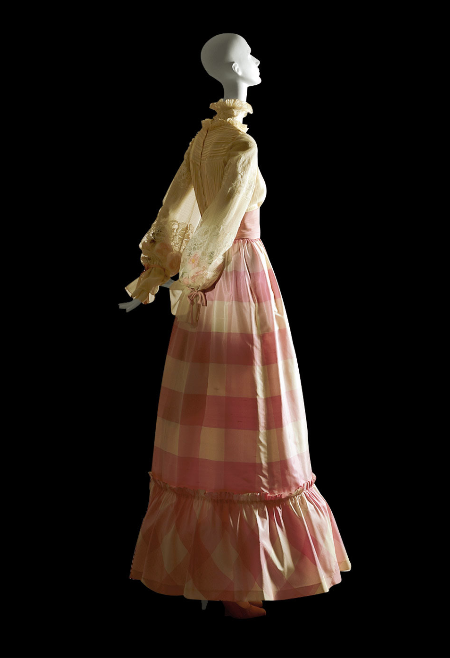 It was a theme Mr. Valentino returned to many times over the course of his career; to cite but one example, his much-photographed look from Haute Couture Spring/Summer 1972 featuring a floor-length, gingham-checked taffeta skirt and Victorian-inspired blouse with lacy pouf sleeves, would look entirely on-target now. Ditto his orchid-print gown from Haute Couture Spring/Summer 1988, with its organdie skirt and high-neck chiffon blouse complemented by dramatic, soft pouf sleeves. Mr. Valentino wasn't only a fan of the pouf. 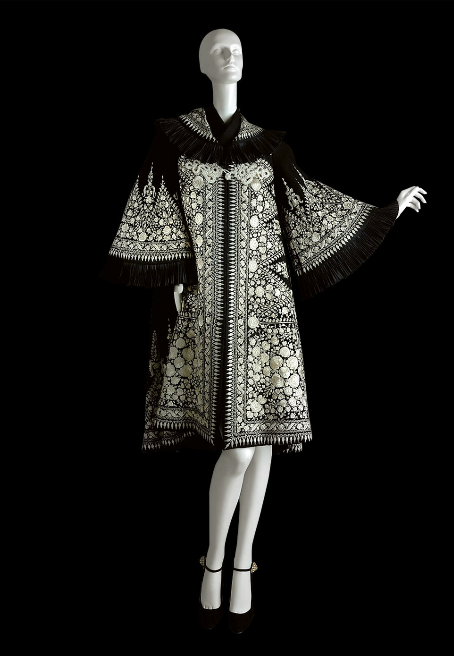 His oeuvre includes high-impact bell sleeves, like those in the "Delphos" style evening pajamas from Haute Couture Spring/Summer 1969, and the black A-line coat with ethnic-inspired thread embroidery from Haute Couture Fall/Winter 2006-07. The archives also boast pretty butterfly wing-sleeves, like those on the mimosa-print organdie gown from Haute Couture Spring/Summer 1971 (another very au courant look) and sleeves with fantastically embellished cuffs, like his camo-print silk blouse with mirrored cufflinks from Haute Couture Fall/Winter 1994-95 (worn by Claudia Schiffer in the show and modeled by Nadja Auermann in the Arthur Elgort-lensed campaign), or the dalmation-spotted evening coat from Haute Couture Fall/Winter 1965/1966, the arms of which explode in a fireworks display of black-and-white ostrich feather. 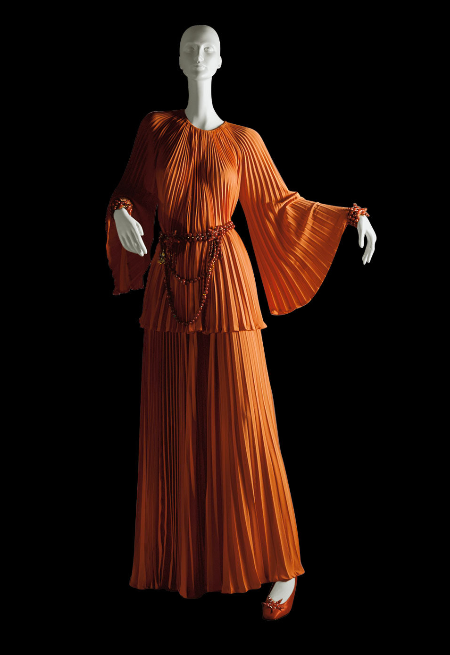 The sculptural, balloon-shaped sleeve is the one currently conquering runways, and it inevitably carries historic connotations, ranging from the doublets worn by courtiers during the Renaissance, to the mutton-sleeves favored in the Victorian era. 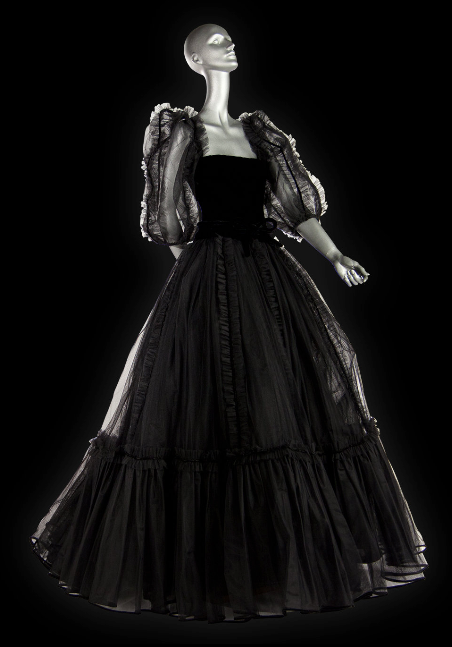 Mr. Valentino nodded to that history in one of his most stunning statement sleeve creations—a black gown from the Fall/Winter 1977-78 Ready-to-Wear collection called "Hommage à Winterhalter," after the German painter Franz Xaver Winterhalter, noted for his portraits of the notables at court in the mid-nineteenth century. Mr. Valentino's "homage" features magnificent tulle sleeves that seem to have been inflated with helium—and as these things go, they're not merely a statement, but a revelation.